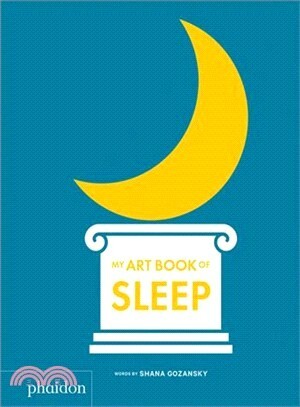 For children everywhere, sleep is part of their every day... and now, part of their first art collection! 35 full-page artworks from a variety of periods feature sleep in all its forms – from naptime to bedtime, dreaming to waking, sunsets to night skies – accompanied by a brief, tender, read-aloud text. Each work's title and artist's name are included as captions, for true integration of narrative and information. It's the perfect bedtime read for families – artsy or otherwise! Shana Gozansky is a freelance theater director whose work has been produced from NYC to LA. She holds an MFA in Directing from the Brown/Trinity Rep MFA Programs and is a graduate of Bard College. She is a Drama League Directing Fellow and her focus is on developing new plays. Shana is an avid museum-goer and art appreciator, a mother of a toddler, and a prolific social media humorist.